Volksuniversiteit Den Haag is an institute for adult education which offers all adults opportunities for further development and training in languages, arts, culture, science and creativity. The course programme does not aim for formal qualifications or official certificates, but offers possibilities to spend free time in a useful way. Volksuniversiteit is open for everyone, regardless of previous training, age, religious, cultural or political background. For most of our courses a basic knowledge of Dutch is required, with the exception of the courses in Dutch as a foreign language. Visit Volksuniversiteit and enjoy lifelong learning! Click here for more info and enrolment. Language courses are an imoprtant part of the course programme of Volksuniversiteit Den Haag. Would you like tot learn Spanish, English or French? Or perhaps even Chinese or Arabic? We offer about 30 different languages. Levels and teaching methods vary per course, but having fun is always a priority. Art can touch and shock us and builds bridges between different cultures. 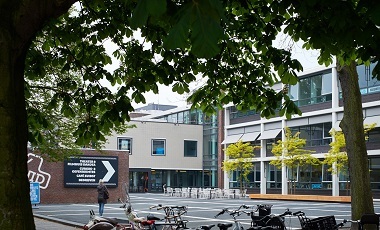 On the course programme of Volksuniversiteit Den Haag, you'll find film, literature, architecture, painting and music, both in courses and lectures. We sometimes combine an introductory lecture with a visit to a museum or film. Who are we? Why are we on this planet and in this universe? Why do we act as we do? How do I get to know myself? How do I keep developing myself? The courses in the category Man & Society try to find answers to these questions. 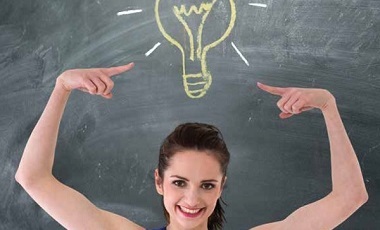 Experienced teachers help to acquire insight into historical and philosophical movements and bring out the best in yourself, including your career. Less than thirty years ago, e-mailing was something exotic and hardly anyone had a mobile phone. Now, signs along the motorway urge drivers not to call, text, e-mail or use Facebook when driving. For those who grew up with computers, iPads and smartphones, it's a piece of cake. But if you want to get acquainted with them, Volksuniversiteit Den Haag can help you. Learn from experienced teachers how to design your own website. 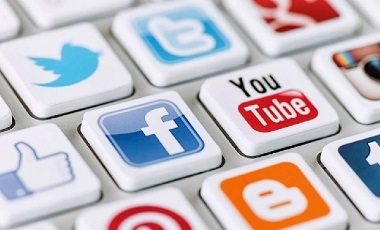 Discover the importance of Facebook, LinkedIn and Twitter in the introduction course on social media. With instruction and exercise, fear of technology can be conquered. To put your finger in clay and mould it until your imagined figure gets the desired shape. Finally put to paper the story or poem that's been in your head for years. In a rough form at first and making it more concrete with the help of your experienced teacher and feedback from your fellow-students. It can be exciting, beautiful and rewarding to make with your hands what your brain conceived earlier. 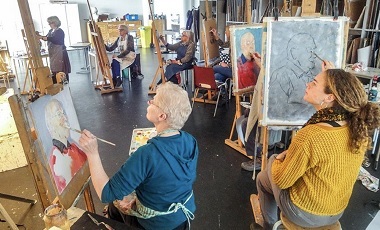 The City Academy The Hague started out in 2009 and provides intensive courses in art subjects for ambitious students. 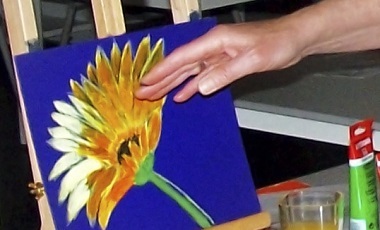 The training consists of three years of drawing & painting lessons. You have classes once a week (on Saturdays) and are taught by different, experienced teachers. 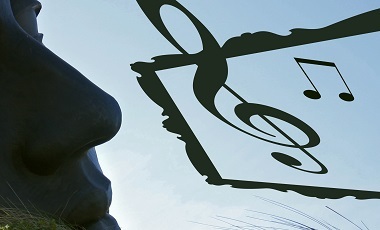 Volksuniversiteit Den Haag restarted music education in cultural centre Zuid57 with Music School Zuid57. In small groups you can learn to play popular instruments such as piano, guitar, keyboard and singing. Most courses (both evening and daytime) consist of 16 weekly lessons which are held in the music studios of Zuid57. If you prefer to take lessons (alone or with someone else) in an instrument which is not in our regular package, please contact us and we will arrange a teacher. In about three minutes you'll get an impression of what Volksuniversiteit Den Haag is and can do for you. The video includes comments from students and teachers. Video is in Dutch. In our newsletter you'll find information about starting courses and other interesting new about Volksuniversiteit. Subscribe or click on read more to go to the most recent newsletter. Read the latest news in our monthly newsletter.